From left, La Plata County Manager Joanne Spina; commissioners Brad Blake, Gwen Lachelt and Julie Westendorff; and County Attorney Sheryl Rogers lead the La Plata County zoning hearing on Tuesday in the County Administration Building. 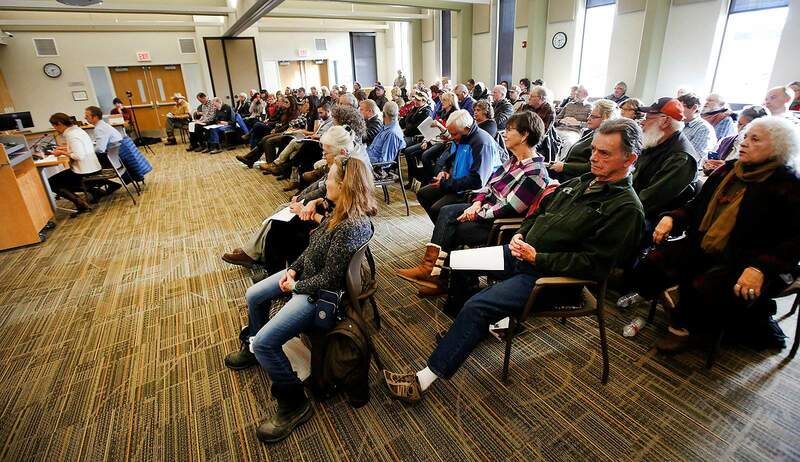 Rural residents and members of the agricultural community in La Plata County who came out in full force Tuesday spoke out against the prospect of county-wide zoning, which they say would take away their property rights and devalue their land. For the past two years, La Plata County has sought to update its land-use code, which hasn’t been seriously overhauled since the 1980s. Part of that process is the potential of introducing zoning to the county, which it has historically lacked. 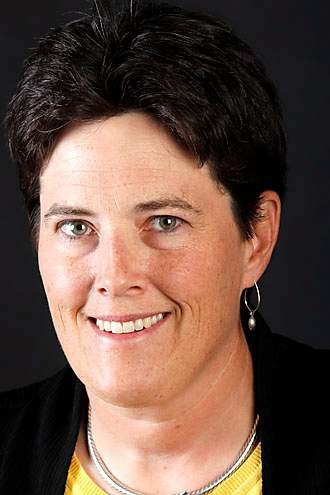 Over the past few months, La Plata County commissioners have held a series of work sessions aimed at breaking down the particulars of what a new land-use code would look like, including zoning. On Tuesday, the county held a work session that allowed public comment on zoning, which drew more than 100 people. The La Plata County zoning hearing was attended by more than 100 people Tuesday in the County Administration Building. The resounding theme, in large part driven by rural residents and members of the agricultural community, was that zoning limits what property owners can do with their land, and in this respect, it devalues the property. La Plata County is one of four counties in the state of Colorado, which has 64 counties, that doesn’t have zoning. Mae Morley, a rancher in western La Plata County, said she needs to have flexibility and options for what her family can do with their property. She feared zoning would pigeonhole those options. Cheryl Stevens, who also lives in western La Plata County, said she doesn’t want restrictions on her land. She said she wants to pass the land to her children, who likely will need to have a range of options for its use. 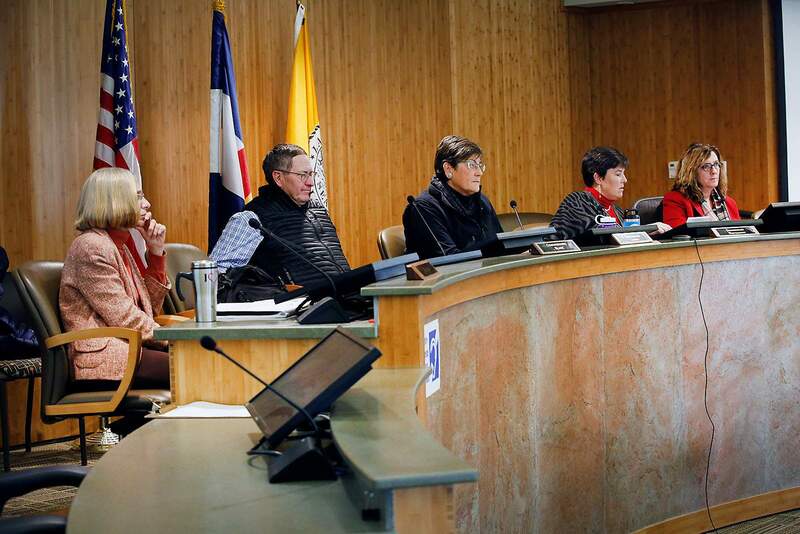 County commissioners and staff, and even most members of the public in attendance, agreed that the county’s current land-use code and process for new development is broken. As it stands, there is no predictability for developers or landowners on what uses are allowable for a specific property. Instead, a project idea must be submitted and go through a lengthy and expensive process to find out if it is viable. Roger Zalneraitis, executive director of the La Plata County Economic Development Alliance, said lack of zoning, in part, is one of the reasons businesses are unable to grow or move into the county. Jim Belcher, who lives out on Florida Mesa, was one of the few residents in attendance who spoke out in favor of zoning. Most of the pushback on zoning has come from the rural parts of the county. In an attempt to address these concerns, the planning department proposed an “Ag-plus” designation with various allowed uses on those lands. But still, many felt any restrictions were too many restrictions. La Plata County commissioners said that zoning might not make sense in all parts of the county, and they directed planning staff to make drafts of a map to see where development pressures are hitting the hardest. A continued discussion of zoning, along with the presentation of a draft map, is expected Wednesday at the commissioners’ board discussion time. Why do some rural residents oppose zoning?